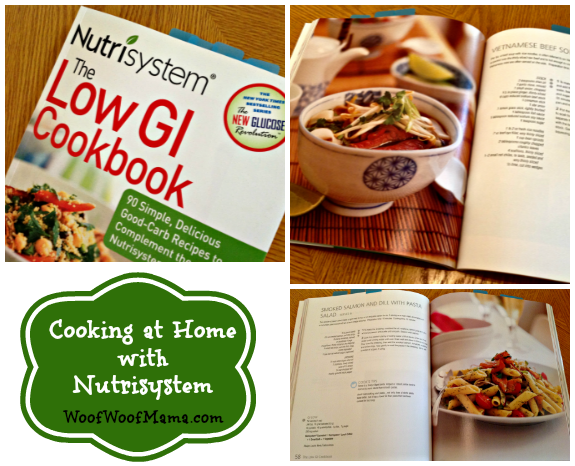 Nutrisystem Update Week 32: WIN a 5-Day Weight Loss Kit! If you’re just joining us, the hubby and I have been losing weight together on the Nutrisystem program. Each week, we post a new update and share tips, info about our experiences, let you know about the program, and tell you how much we’ve lost so far. 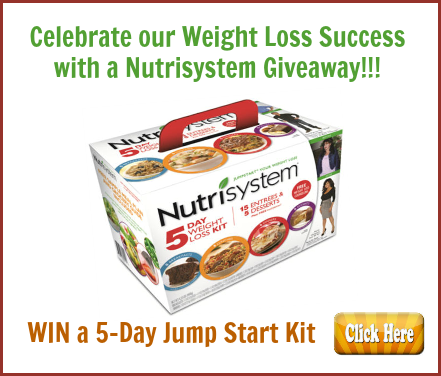 Since we’re just about at the end of our time on Nutrisystem, and we’ve LOVED it so much, we’ve arranged a giveaway and one lucky reader will WIN their own 5-Day Nutrisystem Meal Kit to jump start your own weight loss! Over the past 7 months, the hubby and I have stuck to the program and are so happy with our results. We both still have a bit of weight to lose to meet our personal goals but so far I’ve lost a total of 34 pounds and the hubby has lost an amazing 58 pounds! You can check out last week’s update to view the chart showing how much we’ve lost each week so far! 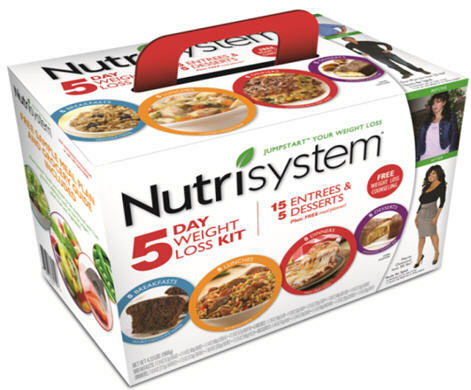 You can jump start your journey to weight loss with the Nutrisystem 5-Day Weight Loss Kit featuring popular, perfectly portioned breakfasts, lunches, dinners and desserts available at a Walmart near you. Just add fresh grocery additions for the best balance, and say bye-bye to that unwanted weight and hello to a new you! This giveaway runs thru June 9, 2013, is open to US residents age 18+ and uses the Rafflecopter Widget for FAST & EASY ENTRY! There are many OPTIONAL entry methods to give you additional chances to win, but just choose the ones you want. Email addresses and other info are only used to verify and contact the winner. Rest assured that your information will never be sold or shared with anyone. All entry methods are subject to verification. Please make sure you provide all required information or your entries won’t count! As you may already know, the hubby and I have been losing weight and getting healthier together. We’ve been on the Nutrisystem program for the past 30 weeks and it’s been great! You can read our weekly weight loss updates for more info on that. Since our time on the plan is coming to an end soon, I’ve been doing loads of research and reading about different types of eating plans and diets, since we won’t be receiving packaged food anymore and want to stay on track with our progress so far. We also want to start learning more about eating the right kinds of foods for overall health. It turned out to be perfect timing when I received a review copy of the new book, The Omni Diet by Tana Amen. 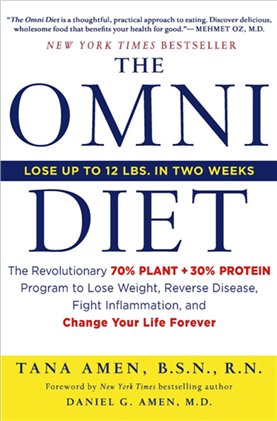 You may have seen The Omni Diet on The Today Show or other talk show recently…that’s how I first heard about it. The book and program are based on a formula of 70% plants including fruits and veggies, and 30% protein from lean meat sources and nuts. There’s no dairy, sugars, processed foods or grains permitted. The goal of the program is to help you lose weight, reverse disease and fight inflammation. The author is a registered nurse and designed this plan based on her own health issues and experiences with chronic conditions including thyroid cancer and severe digestive issues. Her diet is based on the concept of eating real foods with lots of flavor and is NOT a deprivation diet. The focus is on eating calorie-burning proteins and illness-fighting plant-based foods rather than on calorie restriction like some diets.